Wow! 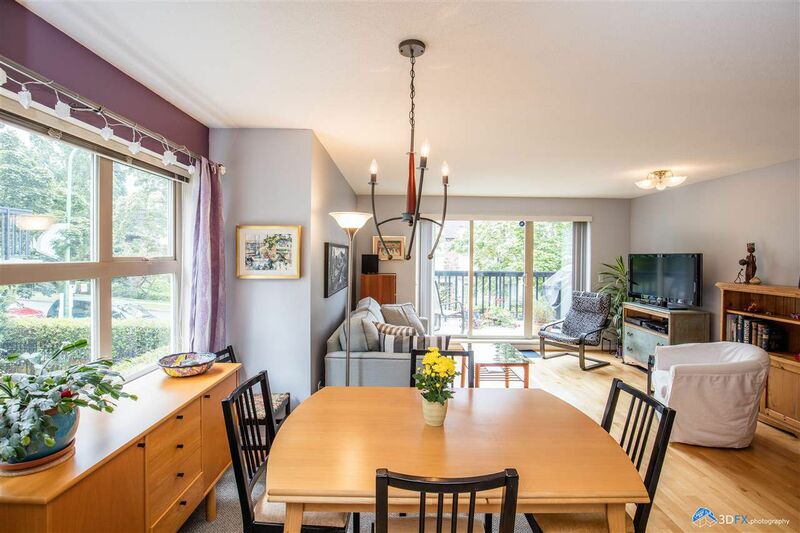 3 Bed/2Bath 2 level family Townhome in the Heart of Burnaby Heights! This 1146 sq ft home boasts many updates & a spacious layout. End unit, bright living/dining area, large kitchen, granite counters, new d/washer & vinyl floors, & separate eat-in breakfast nook. Patio sliders to main level balcony. Upstairs features master bed w/window seat, custom built in cabinets/drawers & ensuite with large shower, 2 more bedrooms & a 4 piece bathroom. Top level is a large sun-drenched roof top deck with panoramic south west city views from Burrard Inlet to Mt. Baker! Gardeners delight and room for the whole family. 2 parking/1 storage; well run 12 year old complex. Super convenient location. Open House Sat & Sun July 16/17 2-4 PM.